I grew up reading comic books and will usually pick up a comic-book influenced book in a heartbeat. In a few cases, I've ended up disappointed. This is not one of those cases. 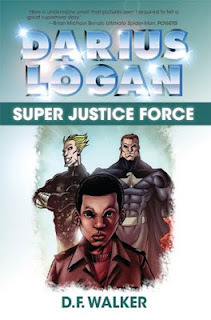 Darius Logan is an orphan, a victim of what is popularly known as "The Attack." In an attempt to create protectors to keep the Earth safe from alien invaders, the government accidentally created a menace over which an evil mastermind was able to take control. Thousands died, including Darius's parents. It hasn't been easy for him, shifted from foster home to foster home. He's gradually slid into the wrong side of the law and, in a single incident, landed himself in seriously hot water. But thanks to the intervention of one of the most powerful superheroes on the planet, he's been given a second chance. The heroes don't see prisons as being agents of rehabilitation. In fact, they see them as quite the opposite. They believe that early intervention may help people like Darius, and they mean to use him as the test case to prove it's possible. Thus he's inducted into the Second Chance program, one that's already been successful in reforming even some of the worst super-criminals. The Second Chance program gave former prisoners jobs involved in running the day-to-day operations of the Super Justice Force's headquarters. For those who tested well, they could even eventually end up in positions of authority within the organization. When Darius discovers that his best friend inside, and the uncle of his love interest, used to be a major villain, he's a bit nonplussed. But over time he develops a friendship and then a feeling of kinship with these people. For the first time in his life since his parents died, he feels part of something. The fellow in charge of security there at the headquarters, on the other hand, has it in for Darius, and does his level best to get him kicked out of the program. He doesn't believe in rehabilitation and sees Darius as a threat to the status quo. In the end, Darius's loyalties are put to the test, and he has to decide between following the rules and doing the right thing. At least he understands that there's a difference. I enjoyed this book immensely. Darius is a great protagonist, a young man who's made a serious mistake but was, initially, simply trying to survive. It doesn't go a lot into the tribulations of foster children, but it does address some definite problems with the system. I grew up reading comic books. It was the comic books that got me reading before I'd even gotten into school. I love the notion of superheroes, people who can tackle the types of things ordinary humans can't handle. Not only super-powered villains, but natural disasters and alien invasions. There's no doubt that these things influence my own novels. 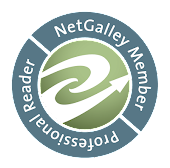 Author D.F. Walker has managed to create a new continuum that borrows from the ones with which we're already familiar, yet adds his own impressions to it. This is a world that could easily expand to fill several series of comic books, should anyone be interested in making the attempt. And, unlike the last superhero book I read, doesn't rely on simply changing a few things about known heroes in order to create second-rate simulations. While one might recognize a few traits here and there, the characters' back stories are their own, not borrowed from elsewhere and altered slightly. This is a complex world with its own history. I'm giving this book 4 1/2 sages out of a possible 5. Worth reading for any comic book fan in particular, but also entertaining for those who just like good speculative fiction. ***This book was actually read and reviewed for me by my husband Saje Williams @ Saje's Eye.